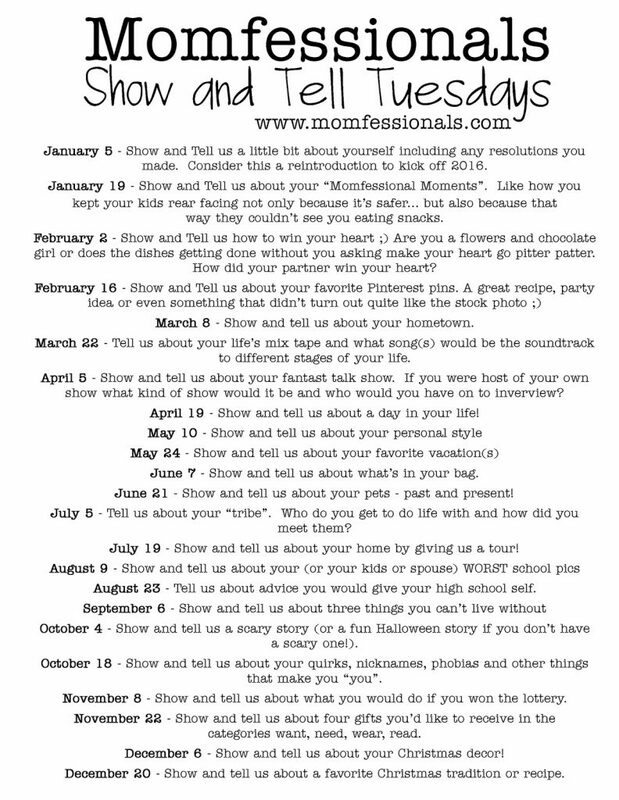 Today I'm linking up with Momfessionals for her Show and Tell Tuesdays link up! 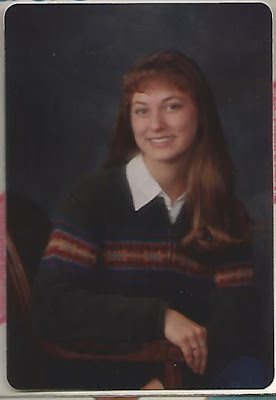 Today is all about our worst school pictures - I can't wait to see all of these! It sure was fun going down memory lane to look back at all of my old pictures. Before I even started looking, though, I knew two I wanted to share immediately. First up, 1st grade. The haircut!!! It was the first time I'd ever had my hair cut short and I only did it because my sister had her hair cut short so I thought I should follow suite. Big mistake! I looked like a boy! Ugh, I hated that haircut from the second it was done. 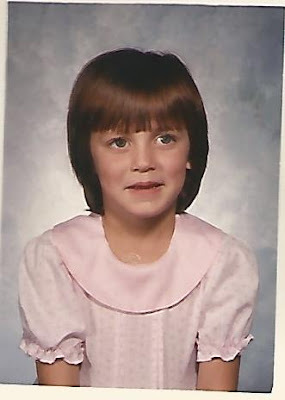 And I'm pretty sure my mom forgot to get my bangs trimmed for pictures, they're almost in my eyes! Ok, this one is just awful. I have no explanation. 10th grade I think. Someone send help! 8th grade! I remember when I got it back being so mad that my necklace was crooked! Oh the agony, ha ha! 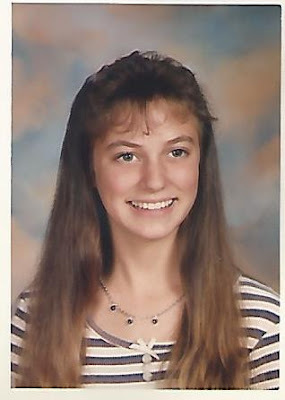 Enough with the bangs already, Erin! Ha ha!! Ok, I've had fun taking a walk down memory lane, now lets see your pictures! 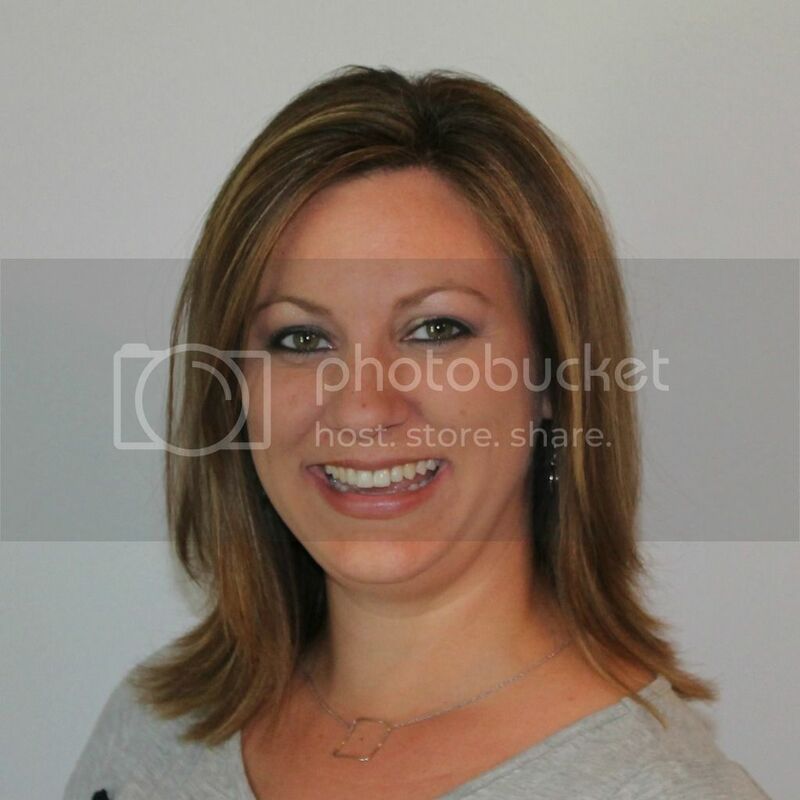 So maybe the 4th grade picture was awkward, but the others are super cute! You were (and are) a pretty girl! It is so fun to go back and dig up these old treasurers though!!! You are so stinking pretty!!! I love the Kindergarten picture. I really feel like I see a lot of Brennan and Tate in that one! And the DJ Tanner picture...that's my favorite! I had the wing hair... I got this paste stuff from my mom's hair lady and boy I could have flown away. I will have to dig that picture out and text it to you. I have some pretty horrible picture and a few are way worse then your worst (which I don't think any of them are bad). My 7th grade year is HORRIBLE! I LOVE THESE!! You are so pretty! And Kindergarten you, all fancy with pearls. I love it! Looking back on old school pics is so much fun! My mom has a picture frame with each school photo from K-12 grade. I'm sure you've seen them - the grade school pictures form an oval, and then in the center is a big photo from senior year. I laugh EVERY TIME I look at that frame!